Actress Stephanie March, best known for her role as ADA Alex Cabot in the 19-season strong drama Law & Order: Special Victims Unit, just purchased a swanky pad in the West Village. The TV star and her investor husband Daniel Benton, who she married in 2017 following her divorce from chef Bobby Flay, bought a duplex penthouse in The Shephard building for $34.62 million. Next, they plan to combine two units to create a massive spread to call home sweet home. Merging units will give the pair 6,836-square-feet of living space and an astounding 3,451-square-feet of terrace, according to the Wall Street Journal. 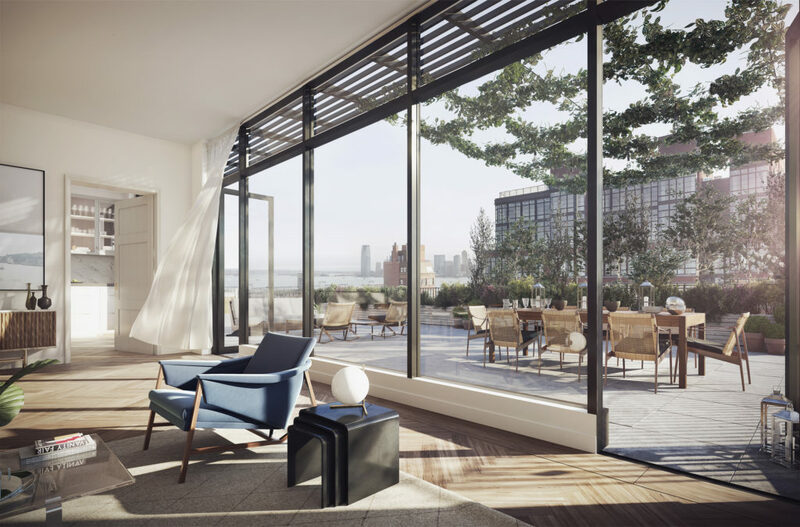 Although it is unclear which unit the newlyweds have acquired, the building’s website shows its three penthouses boasting walls of glass, open living areas, and sweeping views of the Hudson River and the city. It seems the 1896-built structure turned luxury condominium located at 275 West 10th Street is becoming a celebrity magnet. In October, Ryan Seacrest was spotted checking out its $24.5 million penthouse, which is still available. Alexa Lambert of Stribling is the listing agent on all available units in The Shephard building.